Thank YOU for helping us SPREAD JOY! Here’s our wishlist for you to browse through. Art in education is very important and has so many benefits. It helps with creativity, motor skills, confidence, visual learning, and the list goes on! To see a detailed list, you can read “10 Reasons Why Arts in Education is So Important for Kids” by Learning Liftoff. Some suggestions for art supplies include: paint, paintbrushes, crayons, pencil crayons, pencil sharpeners, markers, chalk, gluesticks, construction paper, sketchbooks and pads, scissors, etc. Education is one of the most valuable gifts someone can receive. 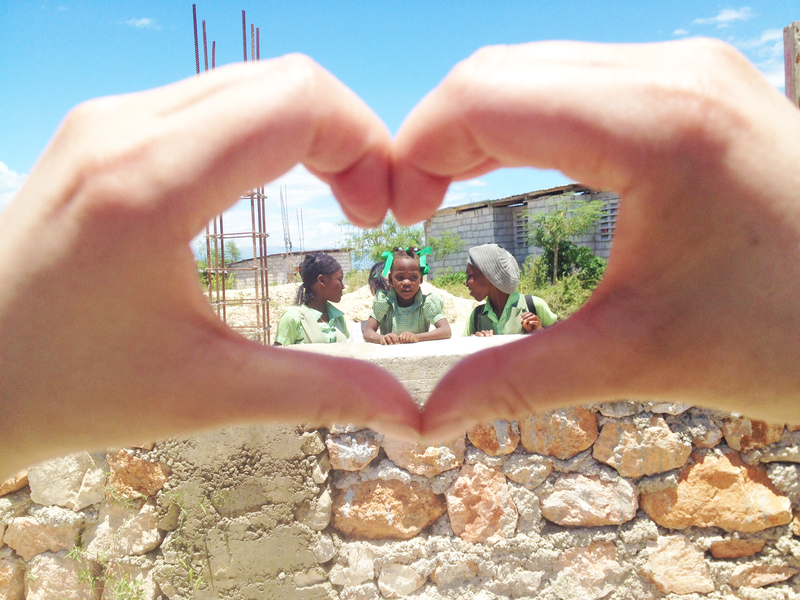 We have one school in Cité Soleil and a new one in construction right now in Canaan. Ground was broken to build this school in May of 2011 and we’re VERY close in putting a roof on this. Let’s work together to put a roof on it! It’ll help provide an education, hope and opportunities to many children who don’t have the means to attend school. 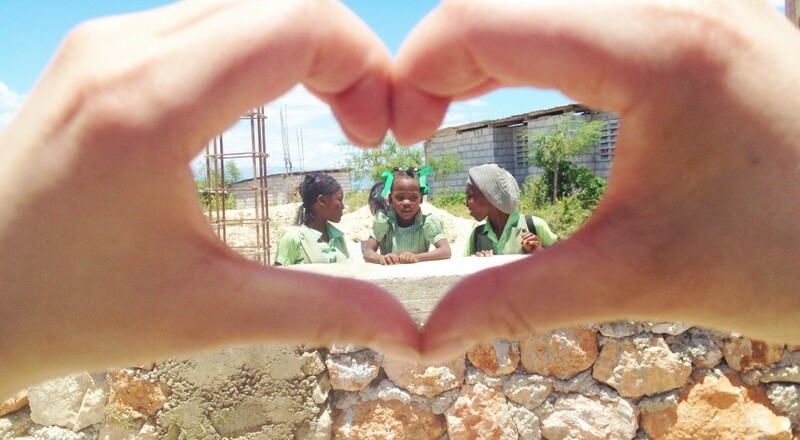 Learn more about The Haiti School Building Project. We accept small medical supplies that can be carried in our luggage, such as bandaids, pain relievers, cold medications, rub-on anti-inflammatory medication (i.e. Voltaren, BENGAY). Note: We cannot accept expired medication. We are running a photography workshop with the students from our school in Cité Soleil. We will be teaching them the basics of a digital camera and have them use it as a form of creative expression. Note: Digital cameras must be in working order as we do not have the funds for repair. Please also include the camera battery and appropriate cables. SD cards are appreciated as well. Shoes are always in high demand and very important. With extreme poverty, many Haitians cannot afford to feed themselves, let alone buy a pair of shoes. Your gift of shoes can go miles. It protects them from various diseases (i.e. soil-borne, parasitic) and injuries. And since their common mode of transportation is by walking only and they usually have to travel far, a pair of shoes can also help children attend school and enable people to travel for work. Kids love being kids and they love to play! Give them a ball and they’ll have a blast. Due to luggage capacity limits, we ask that all balls are deflated in order for us to bring with us. If you have larger donation items (i.e. baseball bats, racquets, etc. ), please contact us directly to see if we can accept them. Can’t decide on a gift idea? You can make a donation online on our secured donation system through Canada Helps. TWA does not maintain paid staff or offices and is completely volunteer-based. Donations are used for grassroots projects in Haiti. Administration is minimum and costs are largely covered with donations from supporting members and the Board of Directors. All projects employ Haitians from within the communities where we work. As we are a non-profit organization run solely by volunteers, Third World Awareness will need not be able to cover the delivery/shipping costs of the donations. We may be able to make arrangements for a pick-up/drop-off. Please feel free to contact us directly if you have any enquiries or any other gift ideas.